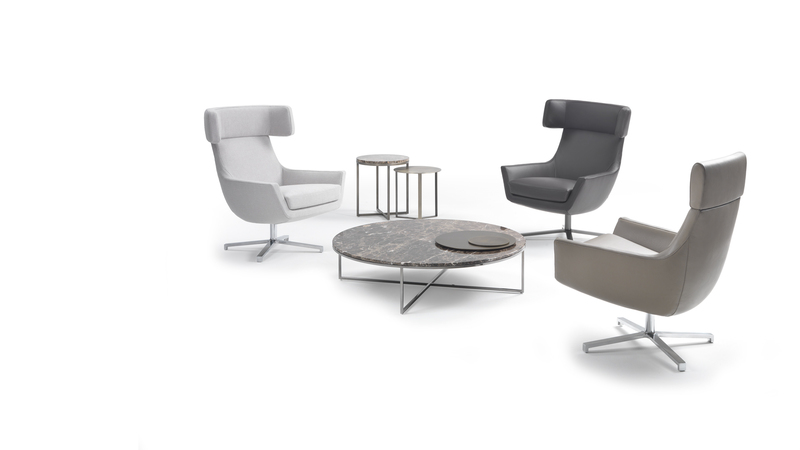 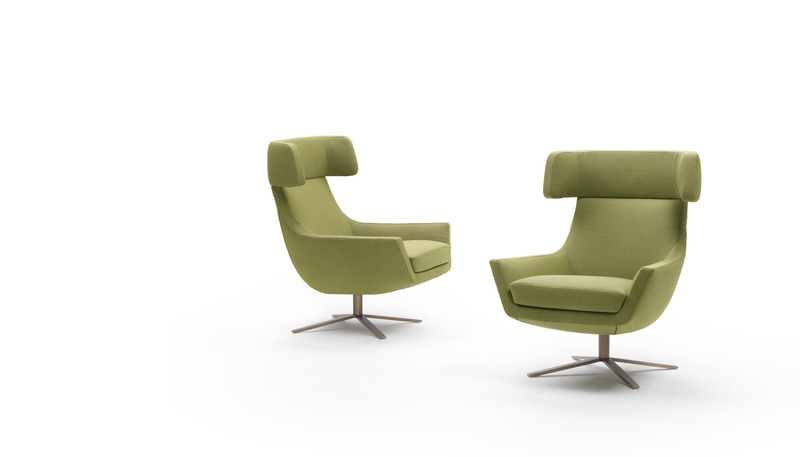 Contract armchair with enveloping lines, available also with low backrest, as wingback chair and with footstool. 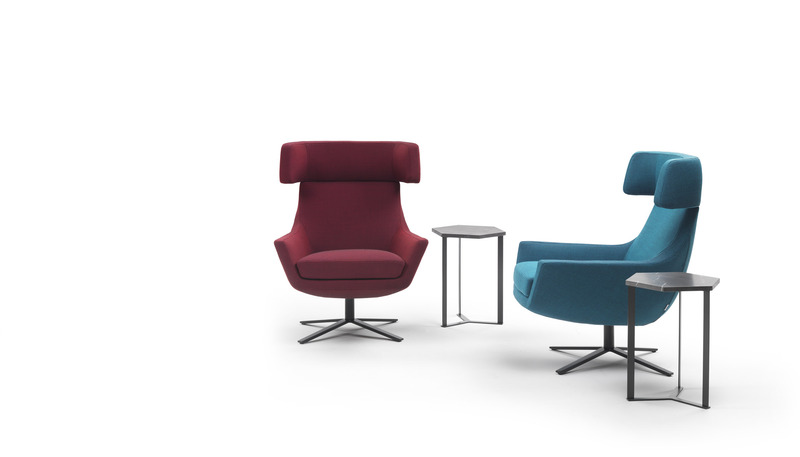 Joy is the perfect armchair to relax on, for hotels, offices but also to read a book comfortably in your living room. 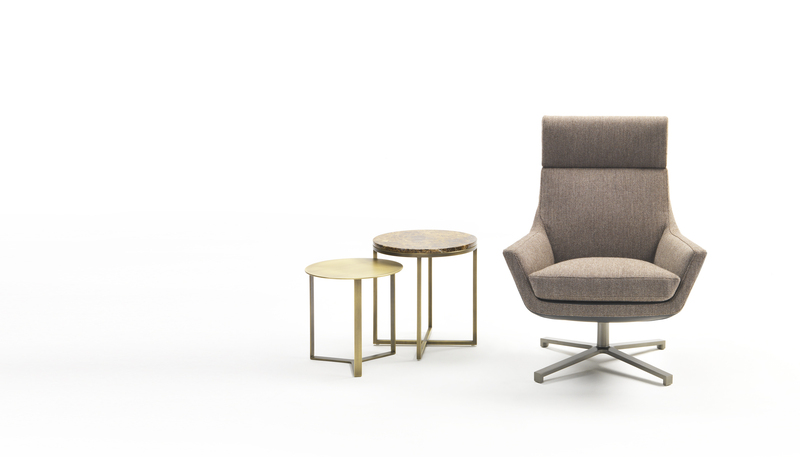 Joy can be covered in fabric, leather or artificial leather or in a combination of different materials and is suitable for any contract or residential space.